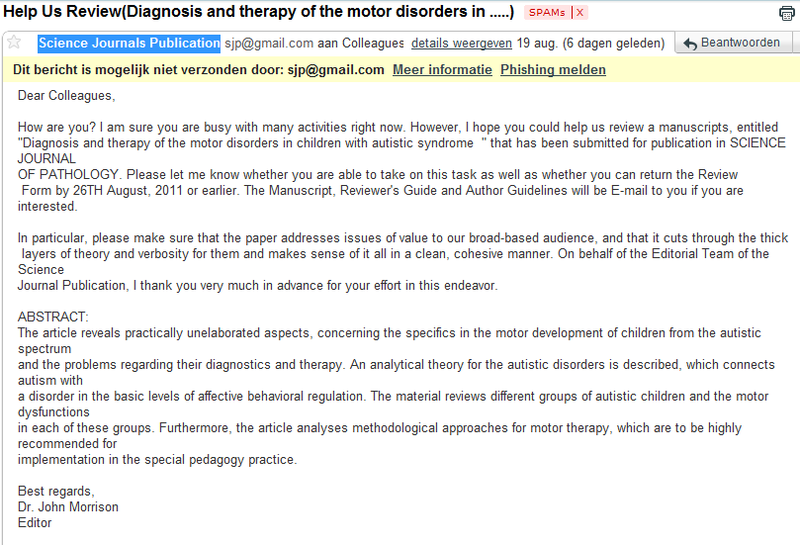 Perhaps you remember that I previously wrote  about non-existing and/or low quality scammy open access journals. I specifically wrote about Medical Science Journals of the http://www.sciencejournals.cc/ series, which comprises 45 titles, none of which having published any article yet. Another blogger, David M  also had negative experiences with fake peer review invitations from sciencejournals. He even noticed plagiarism. Later I occasionally found other posts about open access spam, like the post of Per Ola Kristensson  (specifically about Bentham, Hindawi and InTech OA publishers), of Peter Murray-Rust  ,a chemist interested in OA (about spam journals and conferences, specifically about Scientific Research Publishing) and of Alan Dove PhD  (specifically about The Journal of Computational Biology and Bioinformatics Research (JCBBR) published by Academic Journals). But now it appears that there is an entire list of “Predatory, Open-Access Publishers”. This list was created by Jeffrey Beall, academic librarian at the University of Colorado Denver. He just updated the list for 2012 here (PDF-format). are those that unprofessionally exploit the author-pays model of open-access publishing (Gold OA) for their own profit. Typically, these publishers spam professional email lists, broadly soliciting article submissions for the clear purpose of gaining additional income. Operating essentially as vanity presses, these publishers typically have a low article acceptance threshold, with a false-front or non-existent peer review process. Unlike professional publishing operations, whether subscription-based or ethically-sound open access, these predatory publishers add little value to scholarship, pay little attention to digital preservation, and operate using fly-by-night, unsustainable business models. Jeffrey recommends not to do business with the following (illegitimate) publishers, including submitting article manuscripts, serving on editorial boards, buying advertising, etc. According to Jeffrey, “there are numerous traditional, legitimate journals that will publish your quality work for free, including many legitimate, open-access publishers”. Dove Press demands a very high author fee for publishing articles. An asterisk (*) indicates that the publisher is appearing on this list for the first time. How complete and reliable is this list? Clearly, this list is quite exhaustive. Jeffrey did a great job listing many dodgy OA journals. We should watch (many) of these OA publishers with caution. Another good thing is that the list is updated annually. (http://www.sciencejournals.cc/ described in my previous post is not (yet) on the list 😉 but I will inform Jeffrey). Personally, I would have preferred a distinction between real bogus or spammy journals and journals that seem to have “too many journals to properly handle” or that ask (too much ) money for subscription/from the author. The scientific content may still be good (enough). Furthermore, I would rather see a neutral description of what is exactly wrong about a journal. 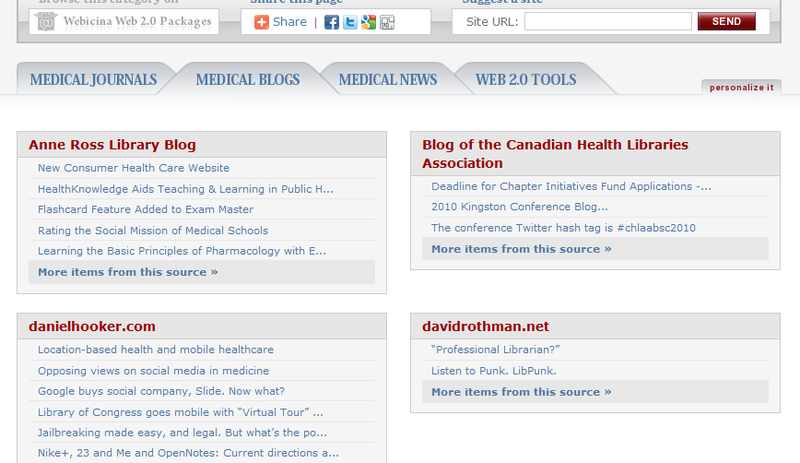 Especially because “Beall’s list” is a list and not a blog post (or is it?). Sometimes the description doesn’t convince me that the journal is really bogus or predatory. Dove Press: This New Zealand-based medical publisher boasts high-quality appearing journals and articles, yet it demands a very high author fee for publishing articles. Its fleet of journals is large, bringing into question how it can properly fulfill its promise to quickly deliver an acceptance decision on submitted articles. I do like funny posts, but only if it is clear that the post is intended to be funny. Like the one by Alan Dove PhD about JCBBR. 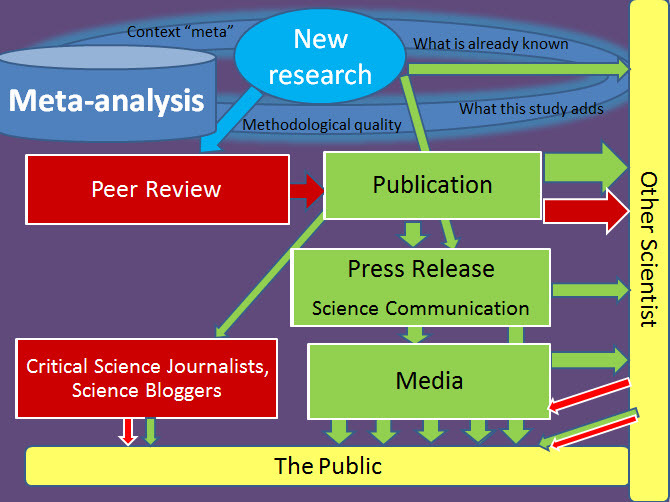 JCBBR is dedicated to increasing the depth of research across all areas of this subject. Translation: we’re launching a new journal for research that can’t get published anyplace else. The journal welcomes the submission of manuscripts that meet the general criteria of significance and scientific excellence in this subject area. We’ll take pretty much any crap you excrete. Hattip: Catherine Arnott Smith, PhD at the MedLib-L list. Yesterday I screened my spam-folder. Between all male enhancement and lottery winner announcements, and phishing mails for my bank account, there was an invitation to peer review a paper in “SCIENCE JOURNAL OF PATHOLOGY”. 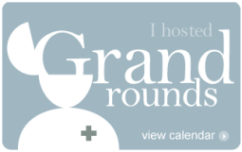 Such an invitation doesn’t belong in the spam folder, doesn’t it? Thus I had a closer look and quickly screened the letter. But still it was odd. Why would someone take the trouble of writing such an invitation letter? For what purpose? And apparently the person did know that I was a scientist, who does -or is able to- peer review medical scientific papers. Since the mail was send to my Laika Gmail account, the most likely source for my contact info must have been my pseudonymous blog. I seldom use this mail account for scientific purposes. What triggered my caution flag the most, was the topic: autism. I immediately linked this to the anti-vaccination quackery movement, that’s trying to give skeptic bloggers a hard time and fights a personal, not a scientific battle. I also linked it to #epigate, that was exposed at Liz Ditz I Speak of Dreams, a blog with autism as a niche topic. #Epigate is the story of René Najeraby aka @EpiRen, a popular epidemiologist blogger who was asked to stop engaging in social media by his employers, after a series of complaints by a Mr X, who also threatened other pseudonymous commenters/bloggers criticizing his actions. According to Mr. X no one will be safe, because “all i have to do is file a john doe – or hire a cyber investigator. these courses of action cost less than $10,000 each; which means every person who is afraid of the light can be exposed” In another comment at Liz Ditz’ he actually says he will go after a specific individual: “Anarchic Teapot”. Ok, I admit that the two issues might be totally coincidental, and they probably are, but I’m hypersensitive for people trying to silence me via my employers (because that did happen to me in the past). 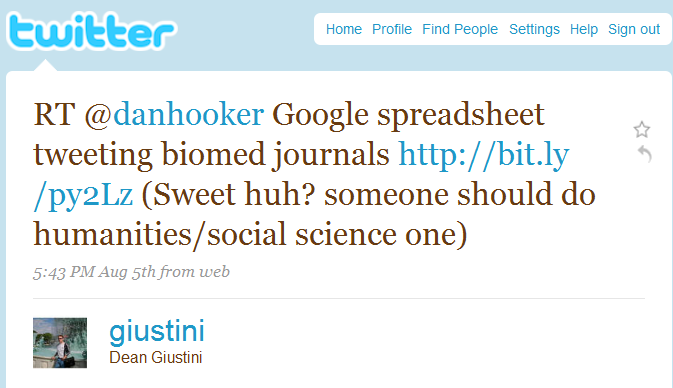 Anyway,asking a pseudonymous blogger to peer-review might be a way to hack the real identity of such a blogger. Perhaps far-fetched, I know. But what would the “editor” do if I replied and said “yes”? I became curious. Does The Science Journal of Pathology even exist? 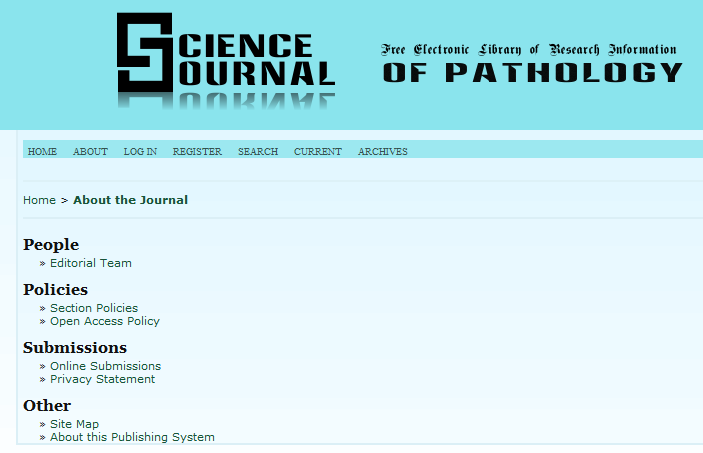 But the Journal “Science Journal of Pathology” does exist on the Internet…. and John Morrison is the editor. But he is the only one. As a matter of fact he is the entire staff…. There are “search”, “current” and “archives” tabs, but the latter two are EMPTY. Strikingly, the journal “provides immediate open access to its content on the principle that making research freely available to the public supports a greater global exchange of knowledge”. ….that is apparently copied from an out-of-date figure that refers to an out-of-date web address (http://pkp.ubc.ca, see legends) instead of the current address http://pkp.sfu.ca/. PKP stands for Public Knowledge Project. The Science Journal of Pathology uses the open source journal management and publishing software developed, supported, and freely distributed by PKP. Instant Scam Publishing made easy, but is PKP aware? 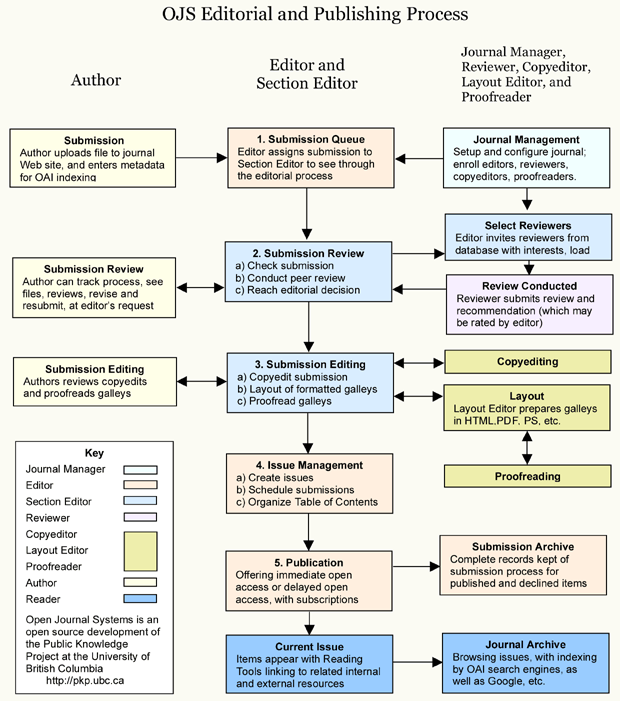 In order to be an author or reviewer, you have to login and thus have to register for the journal. This requires filling in a form, which asks for quite some details, like Date of Birth, Affiliation (department), Biostatement (rank). The Science Journal of Pathology belongs to the Medical Science Journals of the http://www.sciencejournals.cc/ series, which comprises 45 titles (!!). None of the Medical Science Journals has published any article yet…. I didn’t bother to look at all the non-medical journals. After I shared my experience on Twitter, drVes replied that he had received several invitations from the “African Journal of Microbiology”, “African Journal of Epidemiology” etc. which have a similar appearance. Next, I went Googling for “John Morrison” and “phishing” and I found a revealing blog post written by David Modic* at Glasovi z onostranstva (a blog that is now off the air **). In short, David is a Graduate Psychology Student, who was born in Slovenia but is now studying in Exeter. His thesis title is “Deciding to be scammed: how trying to be smart leaves us stupid” and he is running a survey online about this issue here (still open!). But recently David fell into the phishing trap himself*, when he received an invitation to peer review a paper from another sciencejournals.cc journal, the Science Journal of Economics. David thought the journal web page seemed OK, although a little sparsely populated with articles… He then consulted a senior scientist who gave him the green light, because it is good for a PhD to do some peer review…. Thus David accepted and received the reviewers form which he found quite elaborate. The manuscript itself was crap and the authors apparently didn’t adhere to the journal’s referencing style in “any way, shape or form” (much too long, inconsistent style, no method, results and discussion sections). But then David finds out the paper has already been published at a semi-academic website (contact address in Bucharest). Thus this is plain plagiarism as well. He also finds out via http://www.whois.net/ that the domain sciencejournals.cc is registered in Africa for only a year. Like me, David has no clue what exactly is the endgame of sciencejournals.cc. (First assumption – David) – High school kids are looking for someone to peer review (and thus improve) their essays to get better grades. (Second assumption – David) Perhaps they are only looking to fill out their sucker lists. If you’ve done a bad review, they may blackmail you in other to keep it quiet. (me) – The journal site might be a cover up for anything (still no clue what). (David & me) the scammers target PhD’s or people who the “editors” think have little experience in peer reviewing and/or consider it a honor to do so. With David, I would like to warn you for this “very interesting phishing scheme”, which aims at academics and especially PhD’s. We have no clue as to their real intentions, but it looks scammy. Besides that the scam may affect you personally, such non-existing and/or low quality open access journals do a bad service to the existing, high quality open access journals. There should be ways to remove such scam websites from the net. * I assume David is ok and didn’t set this all up himself to help him get some material to write his thesis, which is after all about stupid people falling for scam. 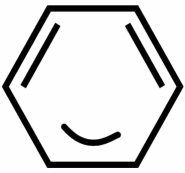 One and a half-year ago I wrote about PeRSSonalized Medicine, developed by Bertalan Mesko or Berci. It is part of Webicina, which “aims to help physicians and other healthcare people to enter the web 2.0 era with quality medical information and selected online medical resources”. In the previous post I discussed several alternatives of PeRSSonalized Medicine. You can never tell how a new idea, or project or a new business will develop. We have seen Clinical Reader come and disappear. PeRSSonalized Medicine however really boomed. Why? Because it is free, because it has an altruistic goal (facilitate instead of earning money), because users are involved in the development and because it keeps evolving on basis of feedback. PeRSSonalized Medicine develops fast. There is not a week that I don’t see a new section: Nephrology, Genetics, Diabetes whatever. 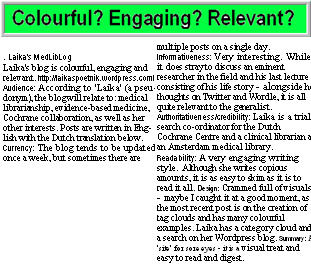 And this week tada tada tada … it is the turn of the Medical Librarianship, with Journals, Blogs, News and Web 2.0 tools. Please have a look yourself. You can personalize it at wish, and if you miss something, please mail to Webicina. In the previous two posts (“Biomedical Journals on Twitter” and List(s) of Tweeting Journals: Your Votes Please!) I introduced the Google-spreadsheet of (Bio-)medical Journals, manually compiled by the concerted effort of many people on Twitter. At a certain point other non-biomedical scientific journals were added, which made the list more complete, but less useful for most health care people, for whom the list was designed. In the last post I therefore asked people whether they preferred one complete list (as it was), one lists with different tabs for each discipline or different spreadsheets. Twenty-seven people responded. Although this is a small sample, it is clear that people either preferred one separate medical or biomedical list (30% and 26%) or one spreadsheet with all types of journals on separate tabs (33%). 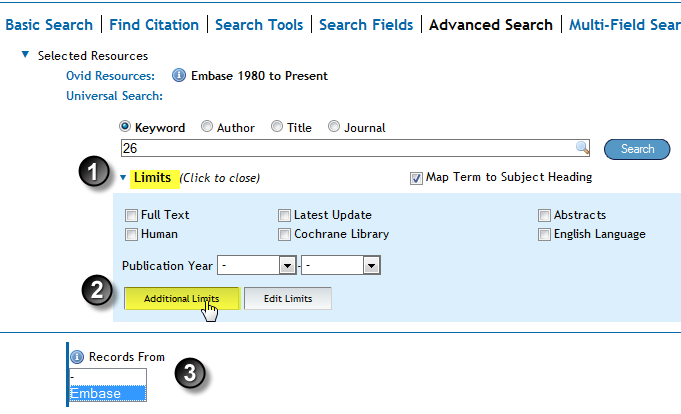 There was little or no interest in separate lists or all journals on one lists (without separation in tabs). 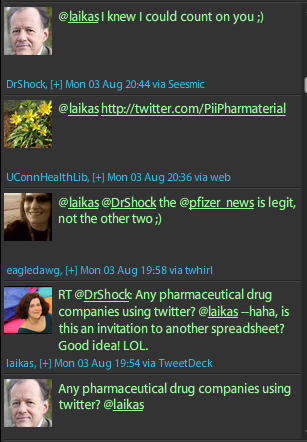 Discussion about the design of the spreadsheet has become somewhat superfluous by the recent roll out of Twitter Lists. The Twitter List feature is designed to make following and suggesting groups of tweeters easier. Everyone on Twitter can make up 20 lists of maximal 500 Twitter/people each. On the web you can easily add each account you like to your lists. I have created 3 Twitter Journal List. In line with the outcome of the poll, I made completely overlapping sets, where the Medical journal set is part of the Biomedical journal set, which belongs to the All/Science set. The spreadsheet still forms the basis. You can make adjustments here and if you mark them (color) or let me know, I will include them in the Twitter lists. Found any new journals/magazines? Please feel free to add them. If you’re interested in following (bio-)medical and/or scientific journals you can follow the list(s) you want, or your own selection from the journals in the lists. 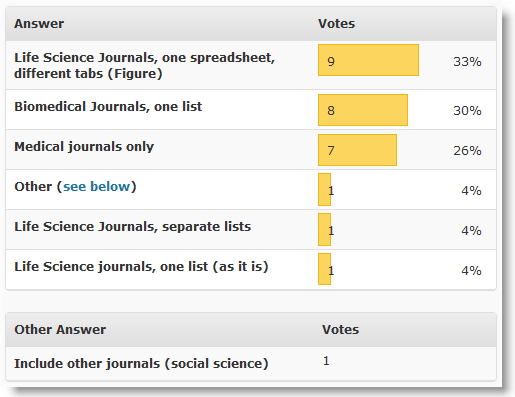 List(s) of Tweeting Journals: Your Votes Please! This list was made on request of and for doctors, hence the original list name: Medical Journals. As this Google-spreadsheet serves as a wiki, anyone (having g-mail) can edit the list. This was quite successful, as there were many additions made. However, some of the journal titles I would not regard as biomedical. For instance purely (analytical) chemistry, physics, social sciences or history Journals. To me, Medical Biology is Medicine, Biology and disciplines on the interface (histology, anatomy, etc). But let’s not discuss semantics and be practical. How would you like to see it? Just like it is (see here) , with all disciplines mixed, all disciplines in a different spreadsheet or one spreadsheet with different tabs (per discipline). Below is only a Figure (showing the Medical Tab). Click to enlarge. *The alternative spreadsheet is not editable, because it is not manageable to have two spreadsheets. Data might get lost. Because of my vacation I was unable to publish about the list of Medical Journals on Twitter that I had initiated in the form of a spreadsheet. Meanwhile this list has been widely covered in the medical blogosphere, i.e. here, here (nature blogs, yeah), here, here and here, (without -correct- attribution) and here (Ves Dimov) and here (Andrew Spong) (with attribution). And possibly many more. Do I have anything to add? No not really. Nevertheless, I would like to point my readers who may not be yet aware of this list. It is open to anybody to edit. Thus if you know of a medical journal on Twitter that is not included, then please feel free to add it to the spreadsheet (if you have Google mail) or ask me to do it for you. For those who are not used to editing Google spreadsheets, please follow the detailed description of Andrew Spong at his blog. The reason why I started this spreadsheet was that Walter van den Broek (drshock) asked me “how to find which medical journals on Twitter (see part of the Twitter discussion rescued from Friendfeed (tweets get lost after a few days). I made a spreadsheet, and asked input from the twitterverse: the easiest and most efficient way to compile a list. There were many initial suggestions of @artadobbs: (see @UCONNHealthLib). She already followed many e-resources updates, as a service for UCONN Health Library users. Ves Dimov (@drves) also had great input. The other editors have added their names on the spreadsheet (and I have added mine too now ;)). Thanks to all! With Ves I’m truly impressed of how well Google Spreadsheets work as a structured wiki. Here is a Figure of part of the list (click to enlarge), the actual spreadsheet can be found here.